The central condition for the liberalization remains a mechanism of suspension of visa-free regime with third countries. On 17 November, the Permanent Representatives Committee of th eeuropean Council agreed, on behalf of the Council, a negotiating position on visa liberalisation for Ukraine, the EC said in a release. 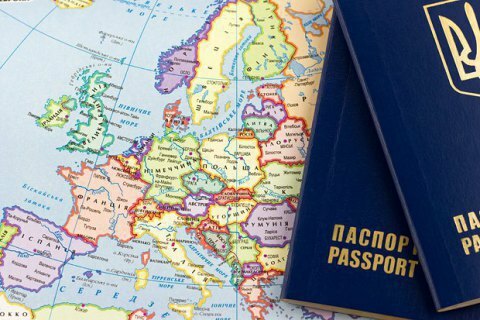 It confirmed the Commission proposal to provide for visa-free travel for EU citizens when travelling to the territory of Ukraine and for citizens of this country when travelling to the EU, for a period of stay of 90 days in any 180-day period. The Council takes the view that the entry into force of visa liberalisation for Ukraine should be at the same time as the entry into force of the new suspension mechanism. On the basis of this mandate, the presidency will start negotiations with the European Parliament. "By giving its green light today, the Council has demonstrated its commitment to visa-free travel for citizens of Ukraine, taking into account that all requirements have been met. Credible reform is the right path and should be encouraged. I am also delighted that our decision is able to send a positive message in the run up to the EU-Ukraine Summit on 24 November."